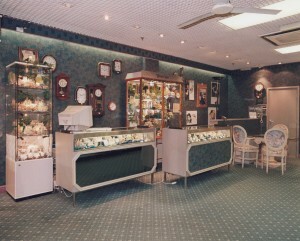 Diamonds are forever, and so is the success of Peter Jackson The Jeweller at The Mall Blackburn. The longest serving independent retailer in the shopping centre, is relocating to a bigger retail unit in Cobden Court from mid November in time for Christmas. 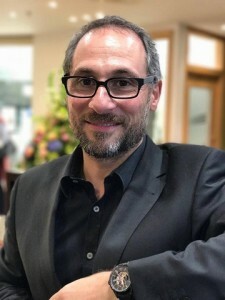 Peter Jackson The Jeweller will double in size, enabling its team of consultants to launch and showcase many exciting new collections and lines. The new location is on the site of the former Ed’s Easy Diner, close to many of the leading fashion retailers. The family owned business first came to The Mall Blackburn in 1988 – before the £66m investment in 2011 – and has built up a loyal following of customers from across East Lancashire. Managing Director, Peter Jackson MBE said: “This is much more than just a move, we are going to create the most beautiful shop the centre has ever seen! “We have been in The Mall Blackburn for the last 30 years and we’re the oldest independent retailer. Loraine Jones, General Manager of The Mall Blackburn welcomed the news. “This is absolutely fabulous news for The Mall, local shoppers and the community. We have worked with the team at Peter Jackson The Jeweller for the last 30 years and it’s wonderful to see them continue to go from strength to strength. In 1996 as part of a Tag Heuer Watch event, a £250,000 McLaren F1 car went on display alongside a giant race track. There were three James Bond movie premier events for Goldeneye, The World is Not Enough and Tomorrow Never Dies with Shirley Bassey, Pierce Brosnan and Tina Turner lookalikes from the TV show Stars in their Eyes. 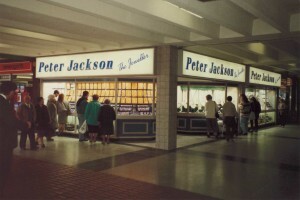 Blackburn was the second shop to be opened in the Peter Jackson portfolio which was first launched in Preston; there are also stores in Bury and Carlisle. What’s On in Blackburn from Monday, 17th September to Sunday, 23rd September 2018. What’s On in Blackburn from Monday, 24th September to Sunday, 30th September 2018.